Happy Earth Day Eve everyone! 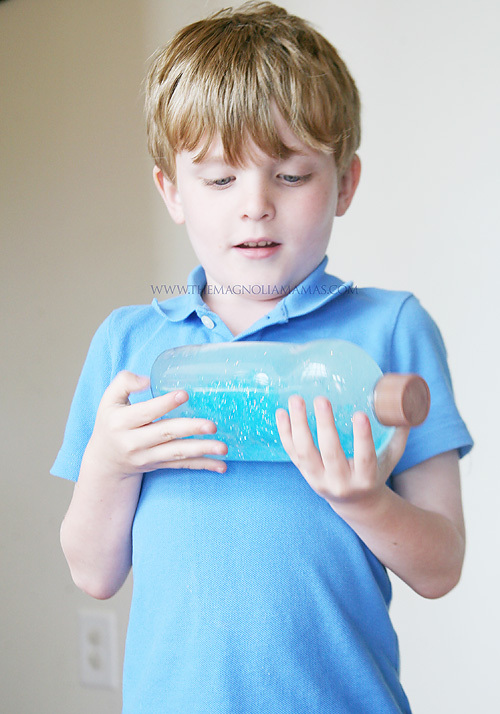 Today we are going to share a fun, and easy craft that is not only made from a recycled bathroom products, but it is a great sensory tool for your little ones! I'm not sure about you, but a large majority of our weekly recycling comes from our bathrooms. 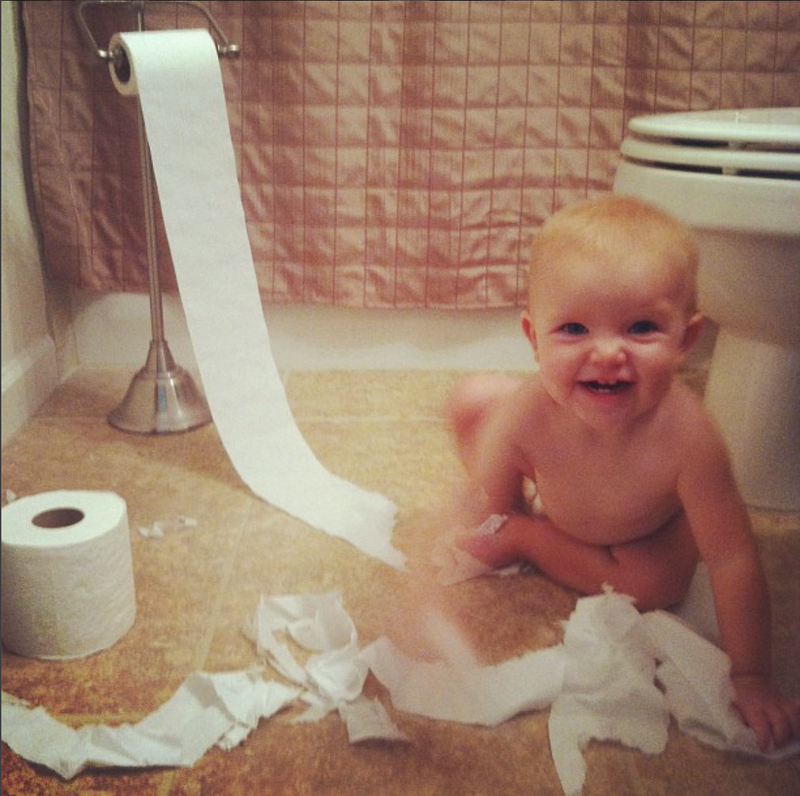 The shampoo bottles, the toilet paper rolls, the bandaid boxes - it all starts to add up. Especially if one of The Cutes decides to play their favorite game - the "Let's unroll all the toilet paper, and spread it around the house" game. Because we go through so many products so quickly, sometimes I like to look towards the bathroom recyclables for some craft inspiration. Sometimes a toilet paper roll becomes a race car tunnel, sometimes a shampoo bottle becomes a paint squirter, and sometimes an empty tissue box just becomes a tool to store fun treasures of the day in. Regardless of the item, with a little imagination that recyclable can have a second life before it officially hits the recycle bin. Double check with your local recycling agency what they accept. Try to create and give a second life to a product that can't otherwise be recycled. For example, floss containers or lotion pumps contain multiple parts and #5 plastics; therefore, most recycling facilities won't accept them. What new uses can you create using these items? 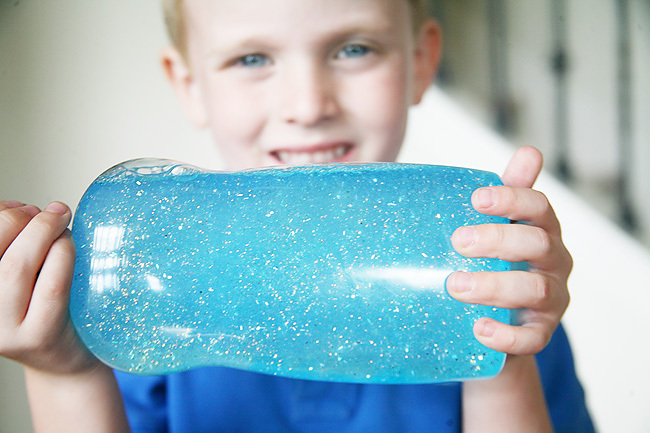 Try not to put too much paint or glue on your chosen craft when using a recyclable product. These can create a problem for the machines handling the recycling process, and then would no longer be recyclable. Avoid cutting large bottles as this might prevent recyclables from entering the recycle machines properly, and thus rendering them non-recyclable. 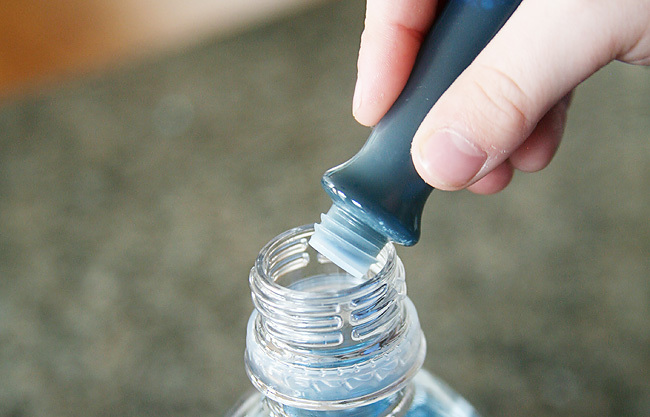 1: Make sure your bottle is clean. Rinse until all product residue has been removed, and dry. 2: Fill bottle approximately 3/4 of the way with luke warm water. 3: Add a few drops of food coloring if desired. 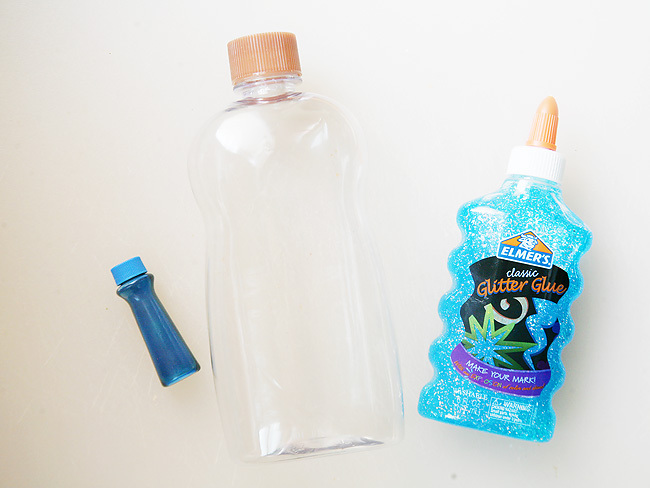 4: Fill remainder of bottle with glitter glue (it should take the whole bottle or almost all depending on the size of your container). Note: The glue sinks all the way to the bottom. 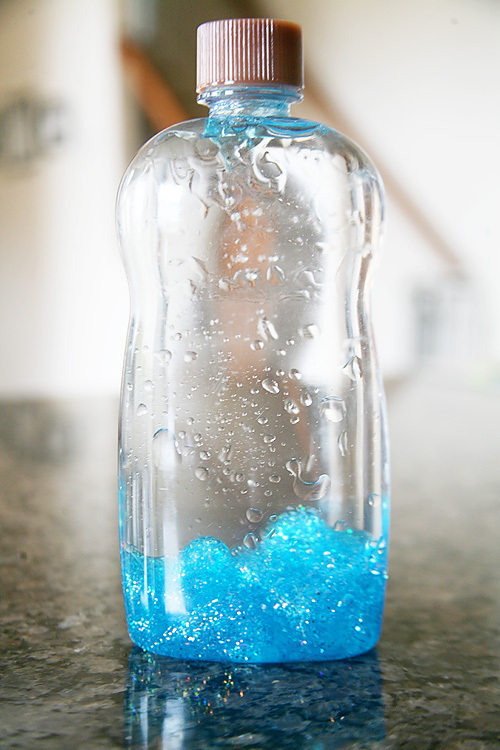 5: Close the bottle with the top, and then shake until glue is fully dispersed amongst the mixture. 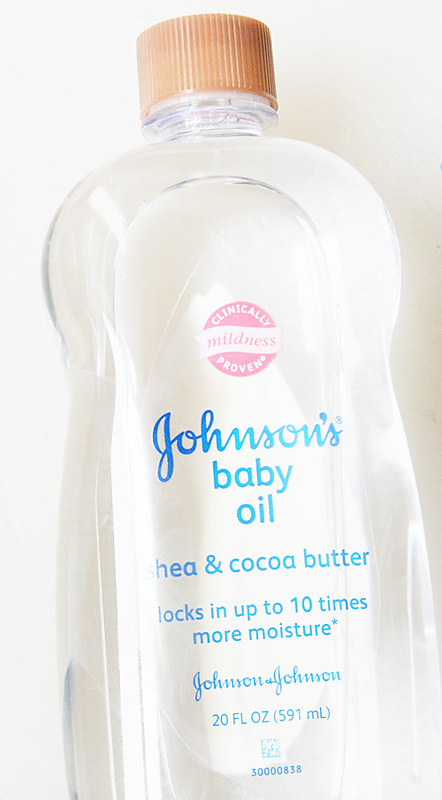 (Note: We love the baby oil tops because they are baby proof. If your container is not baby proof, consider glueing the top down.) For added fun let the kids shake it up. 6: Just keep shaking. 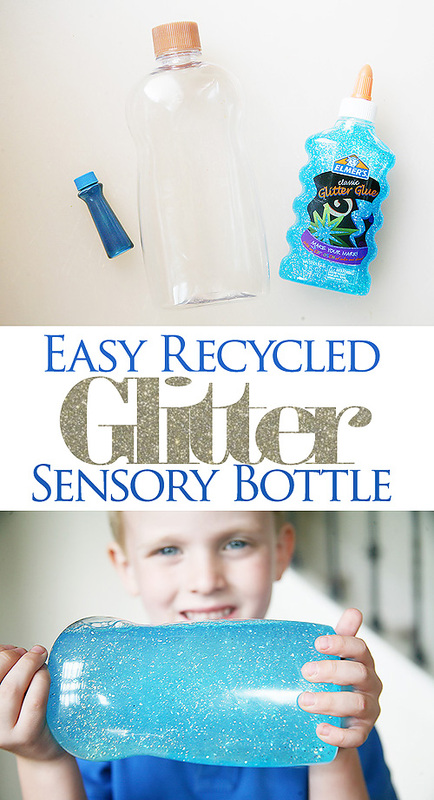 Now your little one can enjoy just shaking and watching all the glitter gracefully float around the bottle. Such a fun and simple craft to do with materials we already had at our disposal, and The Cutes get a great lesson on being able to see what they think of as trash as treasure. 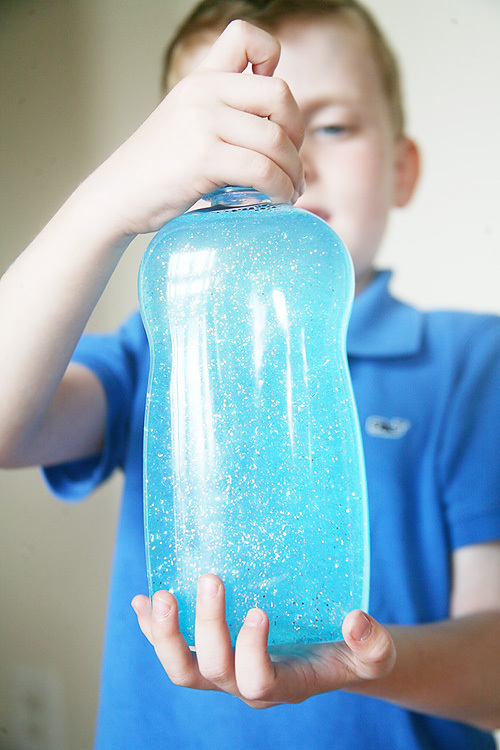 And they love coming back to their glitter sensory bottles over and over again to watch the glitter float. It's calm. It's quiet. It's fun. And it's about the only non-messy glitter craft on the planet. I'll take it! If you are looking for more tips and tricks to transform your bathroom products into recyclable DIY projects take a peek at the Johnson & Johnson Consumer Inc. Care To Recycle website. Johnson & Johnson has created this fabulous recycling program to serve as an informative reminder of what personal care items can recycled, showcase some tips to making recycling easier in your bathrooms, and share some absolutely fabulous DIY and craft projects you can make with your recyclables to give them a second life. 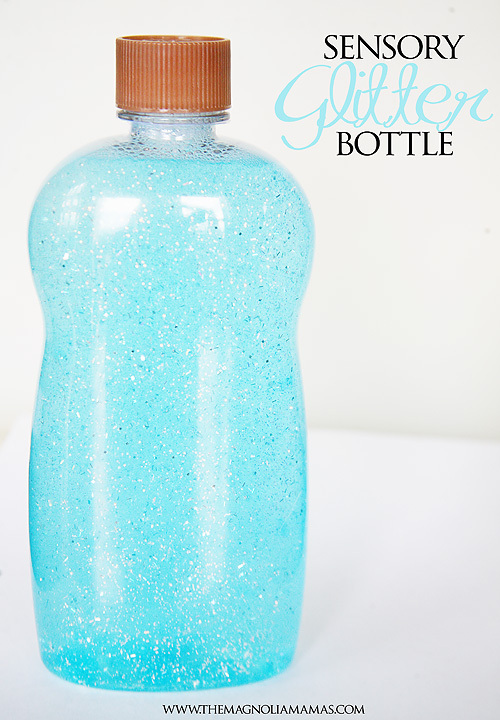 I love the darling bottle vase DIY! 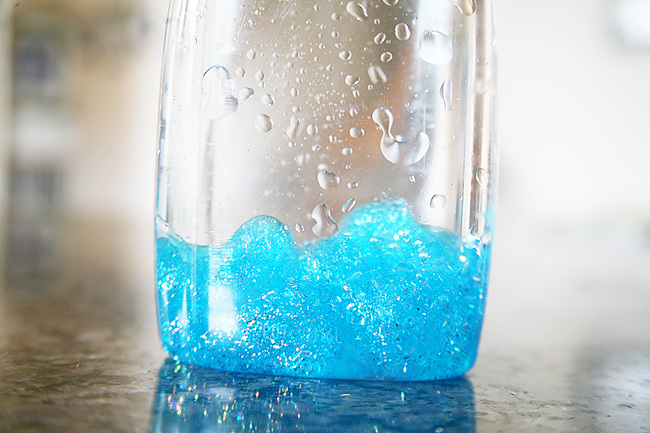 What crafty idea do you have to transform your bathroom recyclables?